"the best financial planners in Brisbane"
Need Financial Advice in Brisbane? "Holistic Advice Firm of the Year"
"Client Services Firm of the Year"
As the Founding Partner of VISIS Private Wealth, Chris has built a professional team founded on a rare commitment: truly impartial advice to help clients achieve their financial and life goals. Chris is a Certified Financial Planner and SMSF Specialist Adviser and has over 15 years’ experience in providing strategic financial advice, successfully delivering tailored, practical and smart solutions that get results. After establishing VISIS in 2001, Chris has worked to build a respected, 100% privately owned practice – with no alliances to other financial institutions. “Quite simply, I am genuinely and solely driven by client needs”. VISIS, is proud to offer the best of both worlds: the size and resources to offer market-leading services, with personal attention and support. Every client has comprehensive financial expertise at their fingertips, covering investment management, personal insurance, finance/lending, superannuation, taxation advice and accounting services. A hands-on and personal approach gives Chris real insight into clients’ challenges and the ability to offer solutions that work for them and make the difference. With the VISIS team, Chris helps self-funded retirees, executives and business owners to effectively manage, grow and protect their wealth every day. Chris has a proven track record of building long-term partnerships with leading business people, high net wealth individuals and families. “I strive to combine my deep industry knowledge with a proactive and straightforward approach so my clients can make clear, informed decisions with confidence”. Chris is continually looking to help new clients with their wealth management advice. In his role as responsible officer Simon has worked within the VISIS Private Wealth business to ensure the principles of a Privately Owned Practice are held at the forefront of the business. In other words all of VISIS Private Wealth client dealings are driven solely by the client’s needs, goals and objectives. VISIS Private Wealth is a respected, 100% privately owned and Self Licenced practice – with no alliances to other financial institutions. 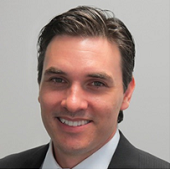 Simon joined VISIS Private Wealth in 2008 after relocating to Brisbane with his young family. Previously he had built a small, successful financial planning practice in Pitt St, Sydney. Simon is a Certified Financial Planner and has 20 years’ experience in providing strategic financial advice, successfully delivering tailored, practical and smart solutions to clients. Simon specialises in developing strategies to assist his clients to meet their goals in wealth accumulation as well as asset protection, structural advice, pre-retirement and retirement planning. VISIS Private Wealth is proud to offer the best of both worlds: the size and resources to offer market-leading services, with personal attention and support. Every client has comprehensive financial expertise at their fingertips, covering investment management, personal insurance, finance/lending, superannuation, taxation advice and accounting services. 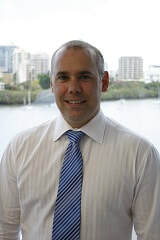 CFP® B.Bus DFP JP (Qual)Mark is an Authorised Representative and Certified Financial Planner at Tupicoffs Pty Ltd.
Mark joined Tupicoffs after owning and managing a successful customer services business for several years. He has over 12 years’ experience providing comprehensive financial advice to clients, and prides himself on high standards of professionalism and personal service. 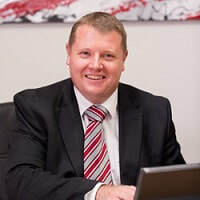 Neil is responsible for the provision of advice under the Tupicoffs Pty Ltd licenses. As well as his role as responsible manager Neil has an active client base of financial planning clients. Neil specialises in providing advice to discerning wealthy families looking for independence and professional skill. Neil’s expertise is widely recognised and he is regularly an expert witness in financial planning disputes. Neil recruited and trained the winners of the national 2013 FPA Best Practice awards in both the CFP and AFP category. Tupicoffs are the only financial planning practice to have won both categories of the FPA Best Practice Awards. Financial Rescue was established by Neil in 2012 to help the victims of rogue financial planners. Financial Rescue has recovered over $2 million for consumers to help repair the financial damage done by rogue planners. Neil was nominated for Australian of the Year for his work in Financial Rescue. Neil is a practitioner elected director of the Financial Planning Association of Australia (FPA). The FPA is the largest professional body representing financial planners in Australia. Neil was elected as a director in 2010 and again in 2013. He has been heavily involved in raising standards and professionalising financial planning. James was recently awarded Runner-Up in the 2017 PlanPlus Global Financial Planning Awards and was a National Finalist in the 2017 Independent Financial Adviser Excellence Awards. James has also previously been awarded the QLD winner in 2011 and 2012 for the Financial Planning Association Best Practice Awards (Certified Financial Planner category) and was recognised as one of the Top 50 advisers in Australia in 2012 by Wealth Professional magazine. James competed against hundreds of financial planners from across Australia in the AFR Smart Investor Masterclass exam for financial planning in 2010 and most recently in 2013 and was awarded a Top-50 honour roll position on each occasion. In 2010, James qualified in the Top 10 nationwide and featured prominently in the February 2011 edition of the Australian Financial Review’s Smart Investor magazine. James was also a national finalist in the 2009 Financial Planning Association Value of Advice Awards (Pre-retirement Planning Category). James is well regarded for his uncompromising “client first” approach and has been a key-note speaker for the Griffith University Professional Degree in Financial Planning, the Sunsuper Adviser Professional Development program and the Financial Planning Associations National Congress and Young Professionals events. James has more than 20 years experience working in various roles within the Banking and Finance sector and has worked as a Professional Financial Planner since 2007. James is a practitioner member of the Financial Planning Association (FPA) and the former Deputy Chair and Treasurer of the Brisbane Chapter of the FPA (2010 – 2012). James holds a Bachelor of Commerce Degree in Financial Planning and Investments (Accounting major), and is a Certified Financial Planner™ (an internationally recognised standard and the Financial Planning Association’s highest professional designation). James has also completed specialist training to provide advice in relation to complex areas such as self-managed superannuation. James provides advice to a diverse range of clients requiring assistance in areas such as wealth creation, tax minimisation, pre-retirement and retirement planning, estate planning and risk protection. Greg is the Chief Executive Officer and co-founder of Eureka Whittaker Macnaught. He has been a CERTIFIED FINANCIAL PLANNER® practitioner since 1998 and is a Justice of the Peace. In 2008 Greg was made a fellow of the FPA and in 2010 he also qualified as a Life Risk Specialist. In 2010 Greg became a member of the FPA’s Conduct Review Commission, and was the FPA national conference chair for 2010 and 2011. Greg is also the former national chair of the Financial Wisdom Adviser Forum, and he is actively involved in representing the financial planning profession in the media. Greg is originally from the Northern Rivers of NSW and is married with three children. Cricket, politics and classic cars are among his interests. Sally is a private client adviser in our Brisbane office. Prior to joining Shadforth, Sally was a financial adviser with Douglas Wenck, a boutique wealth management firm which merged with Shadforth in 2008. Sally is highly experienced in providing personal advice on private wealth management, including cashflow management, asset structuring, debt management, wealth creation and wealth preservation strategies, self-managed superannuation funds, portfolio construction, Centrelink advice and estate planning. Sally has been named in the top 50 financial advisers from around Australia for 2012 to be recognised in the AFR Smart Investor Masterclass for Financial Planning. Sally holds the internationally recognised CERTIFIED FINANCIAL PLANNER® designation which is the highest qualification for financial advisers in the profession. Sally also holds a Diploma of Export Management, a Diploma of Financial Planning from Deakin University and a Bachelor of Business (International Business) from Griffith University. Sally was the top graduate of her Bachelor of Business. Sally is trilingual and has assisted many migrants and refugees to develop an understanding of the Australian culture. Sally is married with one daughter. Outside of work, Sally enjoys golf, tennis and swimming. An Associate Director of the practice, Alan is a CERTIFIED FINANCIAL PLANNER® practitioner (the Financial Planning Association’s highest professional designation) and has completed the Diploma of Financial Planning through Deakin University and a Master of Commerce (Financial Planning) degree with Distinction through the University of Western Sydney. Alan has been a financial planner since 1985, having previously worked at Prudential-Bache Securities (the world’s fourth largest stockbroker) and KPMG Financial Services (a division of the world’s then largest accounting firm) before joining Retirewell early in 1997. Prior to finding his niche as a financial planner, Alan was a financial journalist. Alan is married with four adult children. He serves in the community as honorary president of the Family Council of Queensland. He enjoys occasional overseas travel with his family, following sports such as basketball and rugby league and spending time with his three grandchildren. Olivia Maragna is the Co-founder of Aspire Retire, a rapidly growing independent financial planning firm servicing Australia and New Zealand. Olivia has made a habit of breaking through barriers, recently being presented with a Hall of Fame Award for Business Achievement and the 2012 Australian Adviser of the Year. Olivia has been recognised as a driving force in the finance industry and has been named one of the top 10 most financial influencers in Australia, sharing the list with the likes of David Koch, Ross Greenwood, Alan Kohler and Mark Bouris. In a career punctuated with Australian ‘firsts’ and major business awards including the Queensland Telstra Young Business Woman of the Year, Queensland MYOB Small Business of the Year and the AFA Australian Female Excellence in Advice Award, Olivia has always been driven by the idea that if you want to be successful, “you have to go the extra mile for your clients.”In recognition of her business achievements and for her community involvement, Olivia has recently been elected President of the Midas Business Chapter, chosen as one of eighteen of Australia’s most inspiring female leaders in the Leadership in Focus Forum and will be representing Australia in a Global Forum in Switzerland in late 2013. She is regularly called upon to speak across the country at various organisations such as Ernst and Young, SMSF Professionals’ Association of Australia, AMP, Centrelink, AFL Association, Zurich, Women’s Network Australia, Women in Technology, Professional Investment Services, Canegrowers and numerous other corporations. Olivia currently serves as a judge for the Telstra Business Awards and is the finance columnist for Brisbane Times. Olivia is a Certified Financial Planner (CFP), Chartered Accountant (CA), Self Managed Super Fund Specialist Adviser (SSA) and has a Bachelor of Business from QUT. Olivia actively pursues and connects with journalists to promote the good work of advisers and the industry and has a strong passion for educating consumers about money and finance. Aspire Retire is privately owned, self licensed and does not have any alliances with big corporations. Operating independently and without commissions, Aspire Retire’s fee model is not linked to percentages or values of investment monies and instead charges agreed flat dollar fees based on the services their clients’ require.